Ah, the rat race. The early rise, the crammed bus, train, tube – or the dreaded traffic jam – then the office itself and all those pointless meetings, frantic deadlines and repetitious tasks. Only after you’ve struggled home again can you finally call the day your own. But there is another way isn’t there? Working for yourself. Nowadays many of us think that blogging seems an excellent route to get out of the rat race. Image credit: The New Yorker. Running your own blog would allow you to indulge your passion and knowledge for X (place your favourite subject here) while earning enough money to maintain your lifestyle. Simples. Well, of course things probably aren’t that ‘simples’ at all. Can it really be that easy to make a living from blogging? 65% of all British bloggers do actually make money from their blogs and more than a quarter use blogging as their main career, according to new research by Mason Williams Communications. The research also found that UK bloggers were far more business savvy than those in other parts of Europe. Half of all those who blog in the UK are paid to do so. As 93% also said they’ve been contacted for PR and marketing purposes, you’d have to be very unlucky not to get the opportunity to make at least some money if you are thinking of starting a blog. So, where do we go if we want to make the leap out of the rat race and into professional blogging? Firstly, don’t quit your day job just yet. Blogs don’t start raking in money from the get go. You have to build an audience – as it is the audience who will be paying your wage. It is necessary to create some content – something for people to appreciate – before anything else. But will your content be? You have stumbled on the first question all bloggers have to grapple with. What shall I write about? Finding your topic or niche is a tricky one, but vital if your site is to make money. The reason it’s difficult is because there are seemingly endless possibilities. There are fashion blogs, car blogs, movie blogs, mummy/daddy blogs, gardening blogs, guerilla gardening blogs, and gay gardening blogs, possibly even one or two gay guerilla gardening blogs. That’s just a few of the squillions of blog niches. The question is, where do you start? The golden rule of blog topic choice: Make sure you choose a topic that you enjoy. Don’t choose something simply because you think it will make you money. If you’re doing this on your own you will have to be motivated to keep going because there will be no boss breathing down your neck reminding you of deadlines and clients. Not to sound too hippy, but money is not the primary motivation that will get most people going in the morning. It may sound crazy, but even Forbes magazine says that most successful entrepreneurs say that their primary motivation has been to build something of lasting value, rather than making a lot of money. If you love your chosen topic, you will find it a lot easier to devote time to it. The next step is to figure out what it is you do love. This may well not be as obvious as you first assume. It’s quite easy to think that you like football and TV, but then remember that most people do so it doesn’t really count. It’s surprising how many people think they don’t have any interests. A good idea is to make a list of how you spend your time, the sort of things you read, what you watch on TV and at the cinema (if you go), the sort of music you listen to. This will also help you to find connections between seemingly disparate topics. A gardening blog is just one among many, but if you find you love listening to the Sisters of Mercy and Fields of the Nephilim when you’re not pottering about in your allotment, you’ve got a perfect niche – a gardening blog for Goths. Remember a niche is a potentially profitable corner within a wider market. In her excellent series of articles about setting up a blog written for The Guardian, journalist Andrea Wren points out that you should ask who you want to help with your blog. Think of your audience. If you want to make money with your blog, you can’t afford to treat it as simply a means of self-expression. Helping others is a great way of attracting people to your blog. So, now if you have a blog about gardening for Goths you should think about how it can help others. It is probably a reasonable assumption that the number of gothic gardeners will be few and far between, so you could appeal to people with humour. The Only Goth in the Allotment, perhaps? You could start by looking at the list of the 50 top earning blogs. You may never reach their heady levels of income, but you can still learn from them. Especially what are the top topics, and what is their main form of income? Then check out your rivals, those sites operating at a more modest level (after all the top 50 blogs now aren’t blogs in the ordinary sense of the term, they generally have large staffs running them). 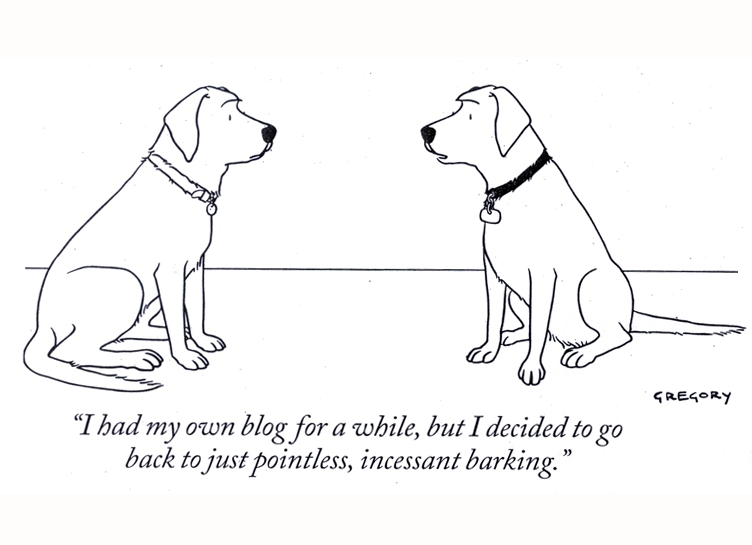 If you look at other blogs, you can see what to avoid and what to emulate. Obviously it’s not a good idea to have a site which is identical to another popular blog, so a little research will prevent you from working on an idea which seems excellent but turns out to have been perfected by another blogger for the last 10 years. However, if you see that a certain blog does their ads or affiliate marketing in a very clever way, then you can borrow their technique. Our final piece of advice is: don’t rush this part of your blogging plan. Sure, you might have had the perfect blog idea in the shower one morning, which came to you fully formed, but even then you will probably need to polish and hone this idea. Most of us will have to spend quite a while working on our ideas. Talk to friends, consult experts, and remember that a strong idea will carry your blog through where others fail. Next we’ll look at how to set up the actual blog itself. EU Right to be forgotten – what’s it all about?